Your home is your largest single asset. And bad things can and will happen. 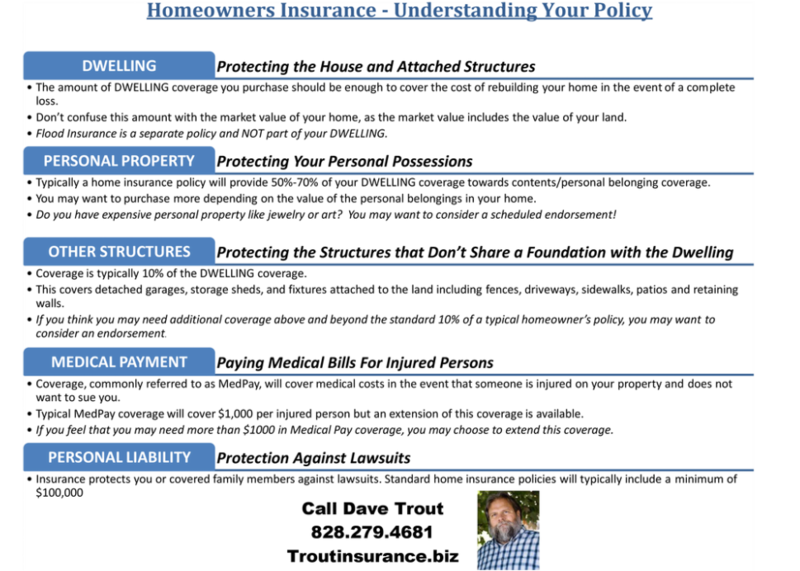 Homeowners insurance protects your property - both your house and your personal property - from fire, wind, theft and whole lot more. This coverage also provides liability protection for certain damages for which you may be responsible for in regards to another person or entity. We can customize your home insurance policy for home business occupancies, special collections, important art or jewelry, and more. The true value of good insurance doesn't become apparent until you really need it. Whether it's a minor water leak, small kitchen fire or something catastrophic , it pays to have insurance coverage you can count on. At Trout Insurance, we bring years of experience and award winning customer service to you. As an independent agency - we shop the market for most effective policy at the best value for you.